Why a #BlackLivesMatter Issue? Why Now? 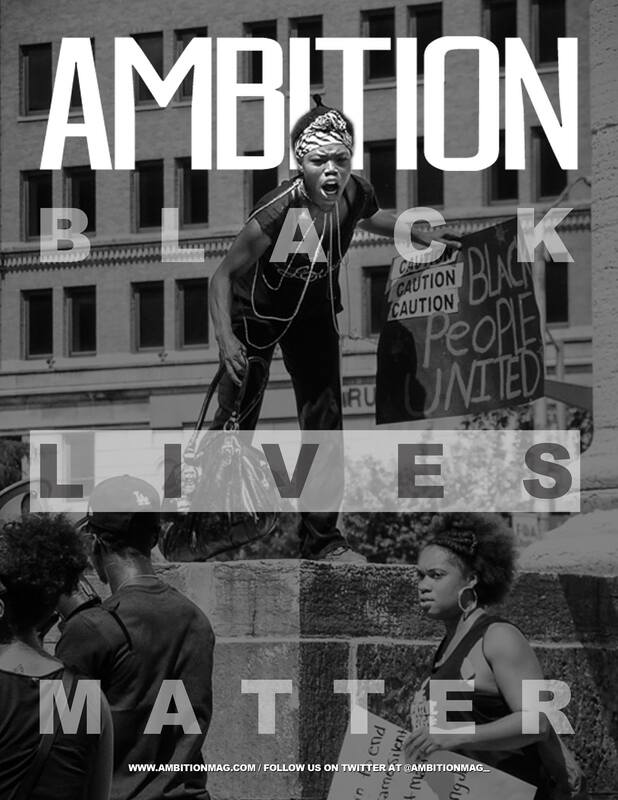 Starting Ambition in 2012 we’ve been around throughout the emergence of police brutality and the #BlackLivesMatter movement. I tend to get angry (as most people do) every time that another situations happens. It’s hard for me to follow and engage with the cases because I am infuriated with everyone when someone these people are able to be found not guilty. I mean seriously, we have people in jail for life for drug trafficking but we can’t even get a murder charge, let alone conviction. So because I do get so angry I kept talking myself out of doing anything through the publication. I told myself when I started Ambition that with the exception of the individual articles that I write, that I would not allow my thoughts and feelings to overcome the mission and vision of the magazine. While my feelings are significant I don’t believe that I was mature enough in publishing, in my career, to produce a publication that was not a whining segment. I finally saw how we could take people’s rage and present it in a way that I hope to be helpful in shining light in a non-combative way on how many people feel. Work! I do not believe there is a cookie cutter way to support the movement. I don’t believe there is one way that is better than any other. If we all use our gift to support the movement, then I believe we will begin to see changes. Now I have been given so many ideas since the idea of the issue came to life. I need to do something more/ different with Black business. I am already a strong supporter but there is more to do. I also know that we have to do something political based because so many don’t even know who to go to when things are going wrong. I am trying my best to be still and understand God is giving me to do. So enjoy this issue, learn from this issue and understand that you are not alone in your thoughts and feelings. PreOrder your copy here NOW, and let us know your thoughts!